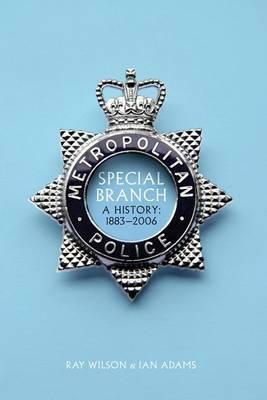 Initially tasked with combatting the threat of Irish republican terrorists in the reign of Queen Victoria, the Metropolitan Police Special Branch went on to play a major role in the defence of the realm for over 120 years.Over time, 'the Branch', as it came to be known, assumed a much wider role, and was held responsible for monitoring the activities of anarchists, Bolsheviks and even the suffragettes. Later, it became the executive arm of MI5 in dealing with espionage cases, as (much to their frustration) the Security Service had no power to arrest potential spies. As the war against terrorism became more intense in the latter half of the twentieth century, Special Branch worked closely with the Anti-Terrorist Branch in tackling this new threat.Packed with accounts of extraordinary missions, life-saving acts of bravery and high-risk intelligence-gathering, Special Branch offers the first complete history of this unique, but now defunct, service, which was subsumed into the Counter-Terrorism Command of the Metropolitan Police in 2006.Special Branch veterans Ray Wilson and Ian Adams have brought this long and distinguished history to life with the help of recollections from former colleagues, as well as their own experiences of life in the Branch. In doing so, they have also illuminated the underlying friction marring its relations with the Security Service - without doubt a factor in its eventual demise. Ray Wilson joined the Metropolitan Police Force in 1953 and served until 1984. He joined Special Branch in 1956 and remained in that department until he retired. He lives in Surrey.Ian Adams joined Special Branch in 1957 and gained wide experience of security investigations, port duty and protection, including that of government ministers. He died in May 2014.